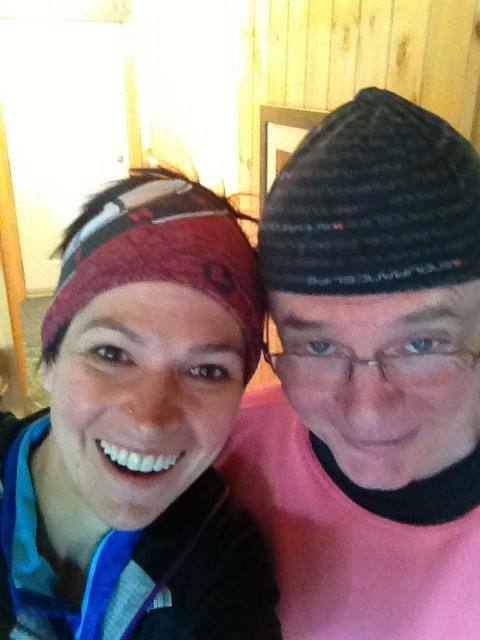 One of my most favourite running memories involves my Dad. It was on 18 October 2013, my Dad’s 59th birthday, and we were at our family cottage. I had come home from abroad just a few days prior, reeling from a breakup, and really wasn’t up for doing anything other than drink gin and tonics. But when I asked my Dad what he wanted to do for his birthday, he said go for a run – with me. I didn’t feel strong enough to go on my own, but the thought of going running with my Dad made me smile for the first time in days. You’re on. I took him out to a trail in a provincial park called Charleston lake that is a short drive away from the cottage. 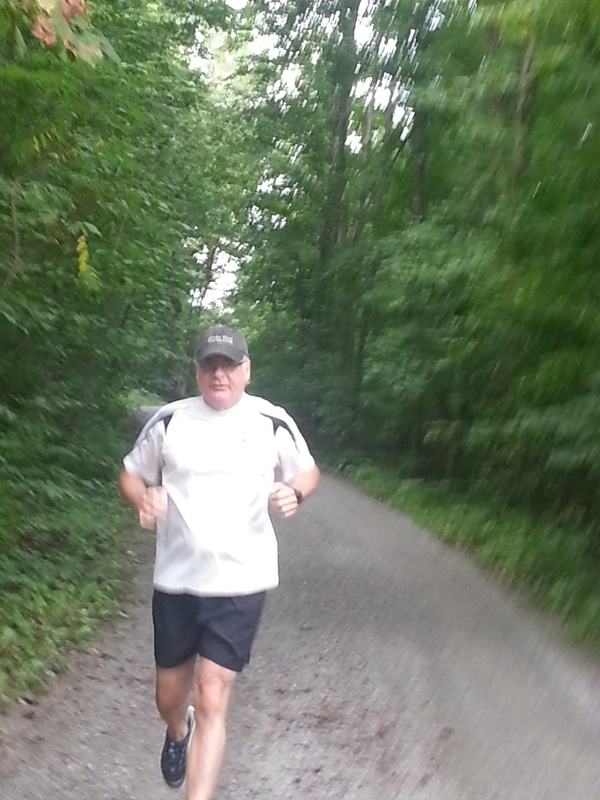 Dad had only started running that year for the first time in his life and he had never run on trails before. I wanted him to see that running was so much more than the monotonous 5km loop he was running on the road. I told my Dad we would do maybe 5-6km because I knew he wouldn’t think he could do more, but secretly I was planning on taking him further using jedi mind tricks and distractions (ultra runners are professionals at this). It wasn’t hard to do. The trail led us through a kaleidoscope of autumn colours – the red, orange and yellow leaves lining the path beneath seemed to reflect warm light back onto our faces. The air was crisp and sweet with the faint smell of fall decay. It was perfect running conditions. After about 20 minutes, Dad asked me how long we had been running. I said 12 minutes. At half an hour, I told him we were at 20. I could see he was enjoying it, but I knew if I told him how far we had actually gone then he would psych himself out and want to turn back. I didn’t reveal how far we had actually gone until the end of the run. As we were stretching, I told him with a glint in my eye that we had run for an entire hour and covered 8 km on hilly trail. Dad chuckled and grinned, annoyed and pleased with my deception. 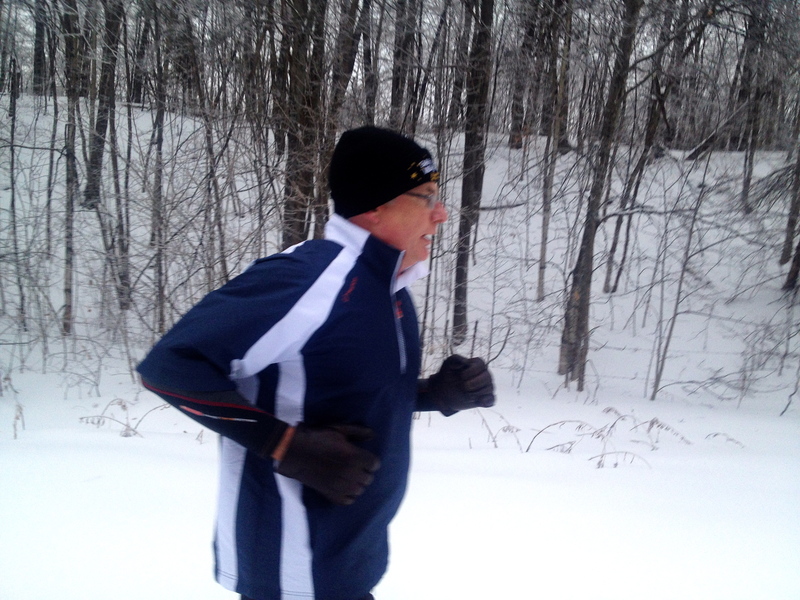 It was the farthest and longest he had ever run, and he accomplished it on his 59th birthday. I’m not sure who that run helped more that day, it meant a lot of both of us. For me, I got to share a sport I deeply loved with someone in my family. Dad was not only seeing a glimpse into my life, but he was also experiencing it for himself, which I thought would help him understand my craziness a bit better. For Dad, well, the smile on his face said it all. When I asked my Dad if he would do this interview, he was hesitant to say the least. He still doesn’t think of himself as a ‘real runner’ and he wasn’t sure anyone would be interested in his story. I disagreed. He may be my Dad so I may be biased, but I think his journey into running at the age of 58, and how he has stuck with it at the age of 60, is pretty inspiring. So read on. Meet UltraRunnerDad. UltraRunnerGirl: You only started running at the age of 58. Did you ever try to get into it before? UltraRunnerDad: I really wasn’t ever into running. I had tried it several times when I was in my teens and 20s as I thought it would be good for getting in shape, but it never worked for me. I ran circles around the track at university and got shin splints. I also tried running around the neighbourhood when your mother was overdue with Ben [UltraRunnerBrother] just to distract myself, but I hated it. 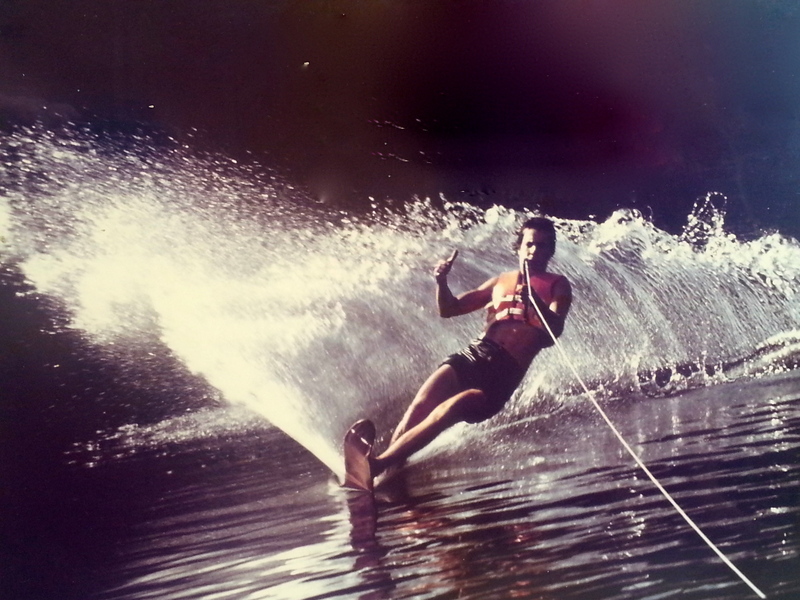 The sports I really loved were downhill skiing, sailing, water skiing and golf. UltraRunnerGirl: There were no running clubs you could join? UltraRunnerDad: I don’t know, it was the 70s! They didn’t have things like that back then [chuckling]. UltraRunnerGirl: Like computers? Anyway, so what made you want to take up running now? impossible things and I only get to see her once or twice a year. So I thought it would be really cool if we could go running together. UltraRunnerGirl: Awww, Dad! That’s awesome. So have I inspired you to come with me to Afghanistan too then?? UltraRunnerGirl: [Cough] Moving on. Were you worried when you started running about whether your body would hold up? UltraRunnerDad: I started when I was 58, so yes, absolutely I was worried. Do you remember the first time you and I went for a run? Our total distance was only 5km and we walked several times. It was a struggle. We couldn’t even run more than a kilometre before I had to take a break. I found it tough from a cardio point of view and also from the strain on my legs. I was surprised – I thought I was in reasonably good shape as I went to the gym regularly – but maybe I wasn’t running efficiently. UltraRunnerGirl: What challenges did you face when you first started? Did they make you want to give up? UltraRunnerDad: My body hurt. I got shin splints and plantar fasciitis, and yes, it made me want to give up. I still think about giving up. My knees don’t hurt when I’m running, but the day after I hobble when I get out of bed. UltraRunnerGirl: What is it that you enjoy about running? UltraRunnerDad: I’m starting to enjoy running – I’m getting there. I listen to you talking about how you get going and your legs feel great, and one or two times that has happened to me. But most of the time it feels like work. I have gained great respect for real runners and what they can accomplish. And I’ve learned that my body can respond and get stronger, even at my age. My gym work has focused on my upper body, but now with my running my legs are getting strong and I can go further. UltraRunnerGirl: What advice would you have for others who are starting to run at a later age? UltraRunnerDad: Go slow and be patient. I have never been patient and I expected too much. And streeeeetch. Probably the walk-run thing is something to consider. I thought it was too wussy so I didn’t do it, but then I got injured. UltraRunnerGirl: Are you doing the walk-run thing now then? Running, not walking. UltraRunnerDad ain’t no wuss. UltraRunnerGirl: Because it is too wussy? UltraRunnerGirl: What do you think about ultrarunning now that you have started running yourself? UltraRunnerDad: I’m in awe of you ‘real runners’. It is incredible what you guys do. It gives me a better appreciation for the physical and mental demands of running. There is no way that it doesn’t hurt at some point. It takes mental discipline to push on. I’m up for the challenge of running longer distances though. As part of my annual fitness assessment, I am asked about my goals for the upcoming year. I wrote down that I want to run 15 km. I would like to keep pushing it and see if I can go further. UltraRunnerGirl: You don’t think of yourself as a ‘real runner‘? UltraRunnerDad: Not yet. A real runner is someone who craves it I guess, and does really impressive distances. UltraRunnerGirl: I may be giving you the wrong impression here… You’re definitely a real runner to me! Can I convince you to do a race with me? Like a 15km one? You’ve already done the training! The photo of us in our headbuffs that I promised never to post. foot in front of the other. Races? Never say never… but I don’t think I need the competition. By nature I’m a competitive person, but sometimes it is nice not to compete. UltraRunnerGirl: Do you think you’re ready for my visit home next month? UltraRunnerGirl: Um, I meant running-wise. UltraRunnerDad: Well, we usually go for a run, and then you go for a ‘real’ run. I’m ready for a run that serves as your warmup. UltraRunnerGirl: Any final thoughts, Dad? UltraRunnerDad: Come home so we can go out for a run. [Thinking that the interview is over…]. I want you to emphasize in question three what a really crazy daughter I have. Make sure you put that in there. UltraRunnerDad is now up to a 10km run in an hour and can do 5km in 27 minutes. Now that he has been convinced to give up the trainers he owned since he was 18 years old, he now wears Hokas and Brooks trail shoes. He loves his new gadget – the Garmin Forerunner 205. UltraRunnerDad is currently training for the hurricane that is his daughter, who will be visiting home soil in late September. Great post Stephanie… A runner and a writer… Such talent! Enjoyed reading this one…and wish I had done the same with my Dad before it became too late…. The moral… Carpe Diem… Seize the day! Enter your email address to subscribe to this blog and receive notifications of my latest adventures by email!